Cold comfort for Tiges fans, nonetheless I’ve been doing a bit of research about the scene of the crime on Saturday – Blundstone Arena at Bellerive in Hobart. 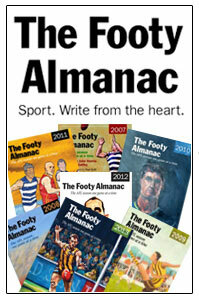 Having stumbled on the Blundstone footy boots image, I thought I’d do a bit more digging. Yes, Blundstone made footy boots! It seems the general manager in the early 1960s was a bloke called George Drury. He was a mad Sainter and asked Darrel Baldock if he would give his name to a boot if George developed one. Apparently it was arranged. You can see the result in the photo. 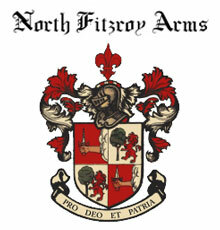 Here’s where you guys can jump in. 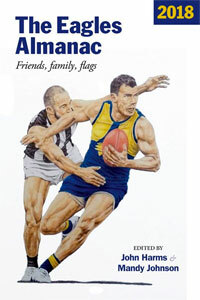 Saints fans: what sort of boots did Darrel Baldock wear in the 1966 Grand Final? Any leads welcome. Photos please! And there is another nice coincidence/link in this. 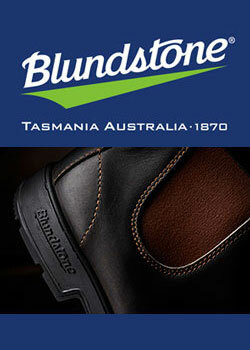 Blundstone is a sponsor of the Fitzroy Bowls Club! 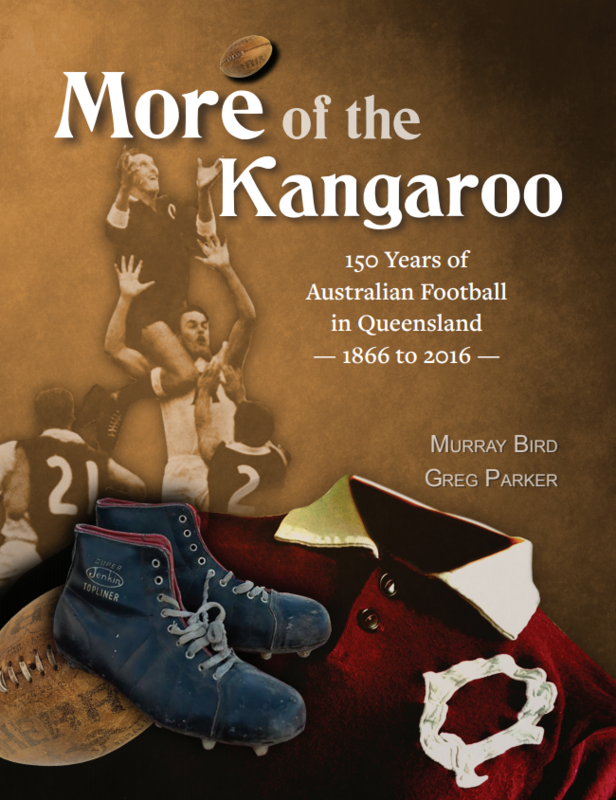 I can tell you that the boot on the left with leather stops is the type my dad used to maintain for all the players in the Castlemaine Football Club in the 50’s and 60’s. I don’t know exactly when the boot changed to become smaller and have different stops. As you can see they had ankle support and protection! blunnies eh, the photos show boots that are dead spits for the SA Rossi product. High sides and circles for the ankle bone. they favoured the leather sprig followed by the plastic version. both were dangerous. the leather one when it got a bit worn it used to pop the end of the nails out and they could do some damage to the opposition. the plastic ones became sharpish when they wore a bit-again weapons. On hard grounds both versions were not too flash and would pop out of the sole leaving the wearer struggling. around 95 out came the rubber boot with moulded and shorter sprigs, they were more compact and streamlined and with give so that you could grip better. I reckon they were better to kick with. you could have them in whatever colour as long at was black (with apologies to henry ford). Rossi work boots still going but not the niche fashion presence of blunnies as given us by the entrepreneurial taswegians. I didn’t wear them or remember seeing them in action ( I was only a few years younger than Baldock) and as discussed earlier, I wore Jenkin boots. Based on my own circumstances, it received second prize in the National Playwright Competition. 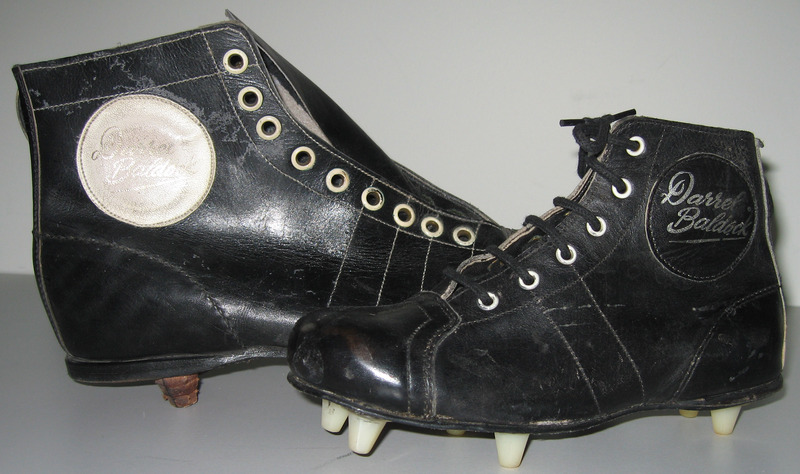 Had a pair when I was at school – late 60’s then went to a more modern Adidas boot. I was fortunate to play alongside the great “Doc” in the Early seventies. He wore Hope Sweeny boots at that time. In my mind there has never been a better player or a more astute coach. Thanks for commenting on the site. I would love to hear some of your observations about playing with and under Doc Baldock – if you are inclined to put something together. My brother has a pair of Darrel Baldock Blundstone boots – if you’re interested I can put you in touch. I’ll send you an email Liz. Thanks for contacting us.